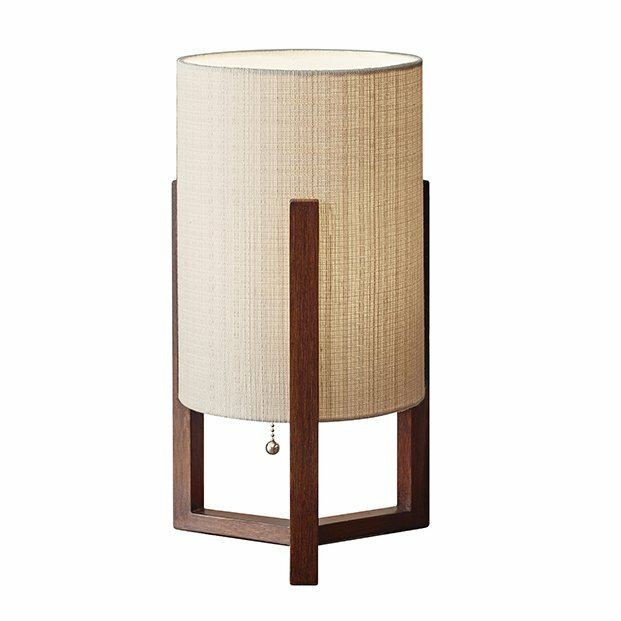 Great for its elegant minimalist profile, this lamp includes a natural linen shade and a walnut and brass base. 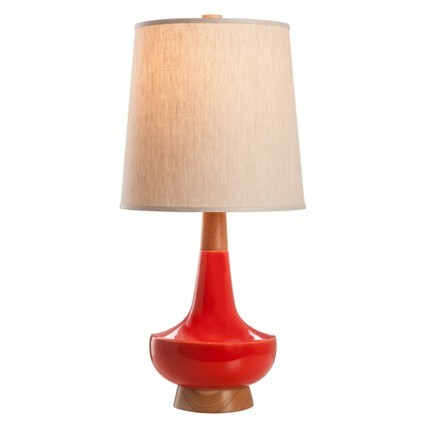 Handmade in Portland, Oregon, the cherry wood, ceramic red and beige linen shade on this lamp are sure to brighten up any room. Midcentury echoes are unmistakable in the triangular wood base of this table lantern. 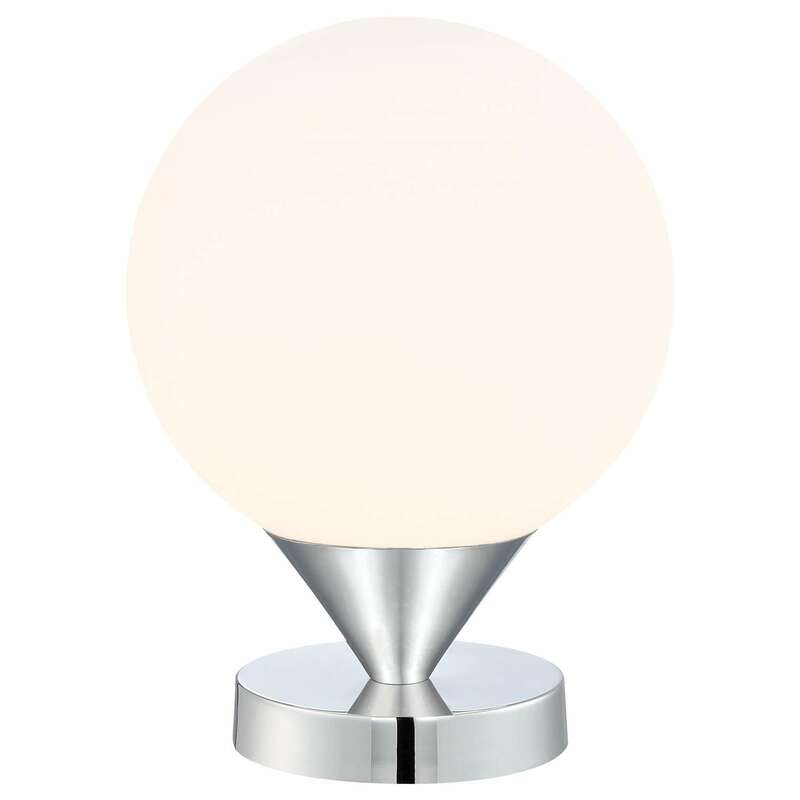 Tremble Giclee Droplet Table Lamp. 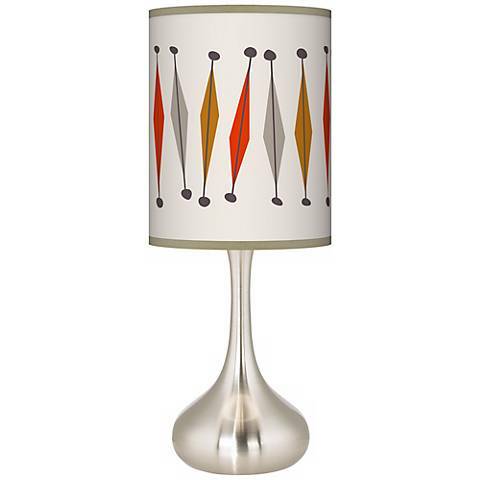 Full of retro whimsy, the lamp’s bulbuous base and geometric print on the shade adds lighthearted fun. 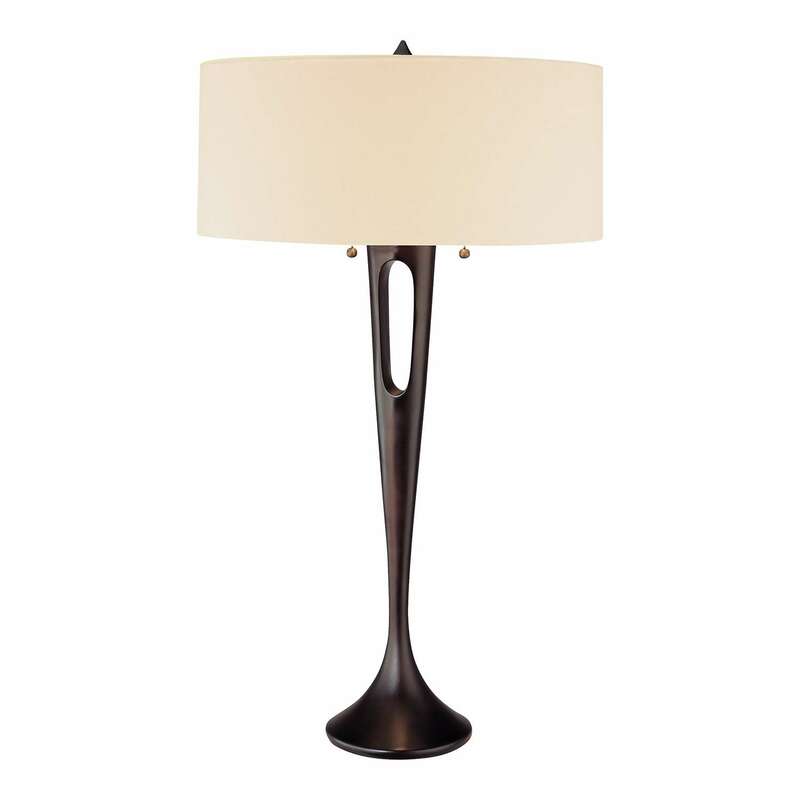 True to its name, this table lamp showcases a sculptural shape and nothing between you and the light itself. 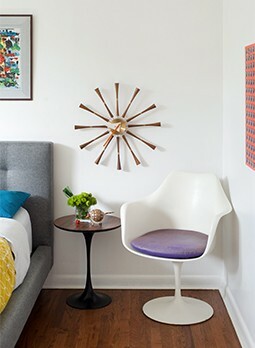 The sleek profile of the Needle Lamp designed by George Kovacs is a great fit for retro and contemporary vibes. 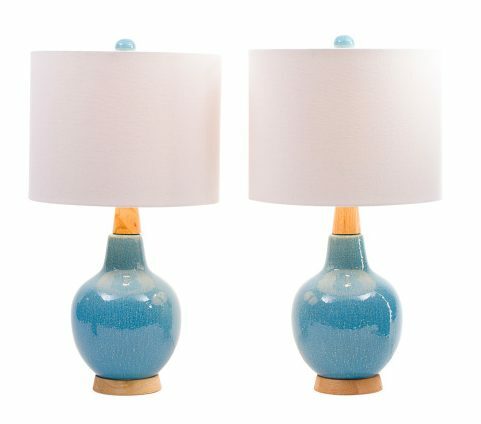 This pair of lamps would work great on opposite ends of a long table or interspersed throughout a room.